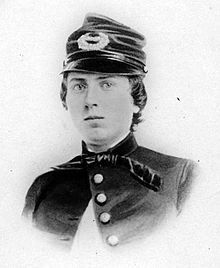 The soldier in the image is Lt. Alonzo Cushing, who is set to receive a Medal of Honor on September 15, 2014, 151+ years after his death at Gettysburg on July 3, 1863. Of the following facts, there is no dispute or doubt: Alonzo Cushing was a brave and very capable young soldier who died as a hero. Cushing, although horribly wounded, stood to his gun and pulled the lanyard, blasting canister into the faces of the Confederate soldiers of Brig. Gen. Lewis A. Armistead’s brigade at point-blank range at the climax of the Pickett-Pettigrew-Trimble Charge. He was an incredibly brave young man who died a hero’s death doing his duty. These facts are not in dispute. I admire Alonzo Cushing. Having said that, I have real problems with him receiving a Medal of Honor now, 151 years after the fact. There were plenty of opportunities for the War Department to honor him in the years after the war, but it did not do so. 1520 Medals of Honor were awarded for valor in the Civil War. Many of them were politically motivated, like the one awarded to Maj. Gen. Daniel E. Sickles, who instead should have been the subject of a court-martial. Many were not really earned or deserved. Many were. A number of them were even revoked. But Alonzo Cushing was not deemed worthy of being awarded a Medal of Honor by his peers. That fact is also beyond dispute or controversy. Again, this is not to take anything away from Lieutenant Cushing or his courageous stand at the guns on July 3, 1863. But I have real problems with his being awarded a Medal of Honor today. Is this really the sort of precedent that we want to set? Isn’t this a slippery slope that will open up a big can of worms? Doesn’t this open the door for the advocates of any soldier who did something brave to demand that that soldier also be awarded a Medal of Honor even though his peers did not believe his feats worthy of one? That’s my real concern with this Medal of Honor being awarded to Alonzo Cushing, whose valor certainly deserved recognition. As unpopular as this statement might be, my humble opinion is that if the veterans–Cushing’s peers–did not deem him worthy of a Medal of Honor, who are we to question the wisdom of their judgment? I think that we should just have left well enough alone. The precedent that this Medal of Honor sets is not one that should have been set. Despite my objections, I nevertheless congratulate Lieutenant Cushing and his supporters who spent so many years fighting to win the Medal for their hero. Time for some shameless self-promotion. 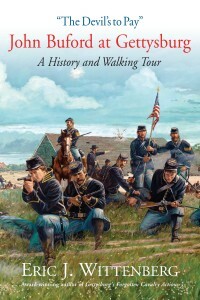 Over the weekend, I signed off on the page galleys for my newest book, The Devil’s to Pay: John Buford at Gettysburg. A History and Walking Tour. The file has been sent to the printer, and in about five weeks, my publisher, Savas Beatie, LLC, will have books. This is, in many ways, the culmination of my life’s work. I began researching what started out as a bio of John Buford not long after Susan and I got married din 1992. This study of John Buford at Gettysburg has been percolating all that time. The book will feature 17 of Phil Laino’s excellent maps (including two that have never before been mapped) and more than 80 illustrations (including three images that have never before been published). I’m really excited to finally see this in print after all of these years. The book will sell for $32.95 plus $3.95 for shipping. 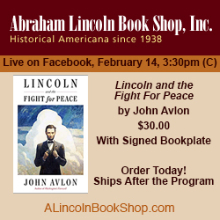 I will also be offering a special collector’s edition that contains a special signed and numbered bookplate that will make for a perfect gift for $75.00. Shipping is free for the special edition. I am taking pre-orders for signed copies beginning tonight. Those interested can pay one of three ways: by PayPal, by credit card, or by check. If you wish to pay using PayPal, please use the email address eric_at_civilwarcavalry.com (I have stated the address that way so that bots don’t pick it up as easily). If you wish to pay by credit card, please send me an email to that address, and include your name, address, credit card number, expiration date, CVV on the back (the three-digit or four-digit code), and the billing address. If you want to pay by check, please send me an email at that address, and I will provide you with a mailing address. Thank you for your interest in my work, and I hope everyone enjoys the book, which has been a LONG time coming. List 10 books that have stayed with you in some way. Don’t over think it. They don’t have to be the “right” books or great works of literature, just books that have impacted you in some way. 1. The American Heritage Picture History of the Civil War. This was the one that started it all for me. Bruce Catton’s wonderful prose and THE coolest maps ever made. 2. William Manchester’s marvelous The Arms of Krupp, 1587-1968. My master’s thesis was a direct result of having read this book. 3. Carlo D’Este, Patton: A Genius for War. Simply put, THE finest military biography that I have ever read. 4. Douglas Southall Freeman, Lee’s Lieutenants: A Study in Command. An epic study that not only taught me a lot about the Confederate side of the Civil War, it also introduced me to the Lost Cause. 5. J.R.R. Tolkien, The Hobbit: There and Back Again. Yep, I’m a nerd. This proves it. 6. Cornelius Ryan, A Bridge too Far. This epic study of the wretched, miserable failure that was Operation Market Garden is one of the finest campaign studies ever written. 7. Alan T. Nolan, Lee Considered: General Robert E. Lee and Civil War History. This groundbreaking book directly led to the publication of one of my books. 8. Michael Shaara, The Killer Angels. Full of factual errors but one of the finest pieces of historical fiction ever written, this book was the introduction to the Civil War for many a person. 9. John Hennessy, Return to Bull Run: The Campaign and Battle of Second Manassas. This is THE best Civil War campaign study I have ever read, and I aspire to doing as well some day. 10. Robert A. Caro, The Power Broker: Robert Moses and the Fall of New York. Moses was the most powerful man in New York, but his ego and downfall brought about the bankruptcy of New York in the 1970’s. This epic biography taught me the art of biography. There are, of course, many, many other worthy candidates for inclusion on such a list–in fact, limiting the list to ten entries really unreasonably limits things. But these are the ten that come to mind without overthinking it, and I think that this list is a worthy one. Feel free to leave your own lists here in the comments. It should make for some interesting discussion. I have long been an enthusiastic supporter of the gang at Emerging Civil War. Chris Mackowski and Kris White founded Emerging Civil War to create a place for the next generation of Civil War historians to try out their voices. And they have formed a very talented team that includes Chris Kolakowski (whom I’ve known for about 10 years now), Dan Davis, Phil Greenwalt, Rob Orrison, Meg Thompson, and others. As I travel around the country, I see far, far more gray hair in the groups that attend the events where I speak and too few young people. Consequently, I constantly worry about the future of Civil War scholarship. I’m pleased to tell you that after attending an event put on by ECW this weekend, I am far more comfortable with the future of the study of the Civil War. If this is what the next generation has to offer, then we’re in very good hands. For one thing, there’s the Emerging Civil War Series of books. These are meant to be gateway books into specific topics, filled with lots of photos, maps and battlefield tours. They are intended to provide introductions to different battles that will lead others to study those battles in a far more in-depth fashion. This series is the brainchild of Chris Mackowski and Kris White, and it’s quite good indeed. Our mutual publisher, Savas-Beatie, publishes these books. This weekend was ECW’s first annual Civil War Symposium. The event was held at the absolutely gorgeous Stevenson Ridge inn (the house where we stayed is the image at the beginning of this blog post), which happens to be owned by Chris Mackowski’s in-laws, and which is located on a portion of the Spotsylvania battlefield. Friday night featured a very interesting panel discussion, and Saturday included a full slate of speakers. ECW gave me the honor of being the keynote speaker at the event, which was on the war in 1864. Four of the talks (including mine) were filmed by C-SPAN and will be broadcast at a later date (I will let you know when I know the date). All of the talks were excellent and it was an honor to be included. Today was a full day battlefield tour. 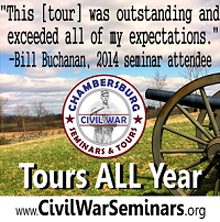 Attendees could choose between an in-depth tour of Spotsylvania, or an overview tour of both the Wilderness and Spotsylvania. I want to focus on one speaker in particular. 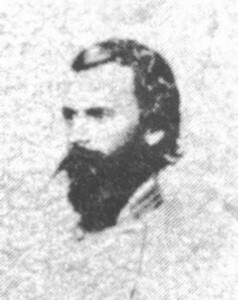 Lee White, who is a ranger at Chickamauga, was supposed to speak on the Atlanta Campaign, but a family issue prevented him from attending. A young man named Ryan Quint, who is still an undergraduate college student at Mary Washington University, filled in, and did so quite ably indeed. He gave a terrific talk. If this 20-year-old college student represents the caliber of talent in the next generation of Civil War historians, then our avocation is in very good hands indeed. It was a real pleasure getting to spend time with the likes of old friend Dave Powell, Chris Kolakowski, Chris Mackowski, Kris White, Dan Davis, Phil Greenwalt, Michael Hardy, John Michael Priest, and lots of familiar faces among the attendees. Thanks to the ECW crew for an outstanding event. I can’t say enough good things about what this group of historians is doing. 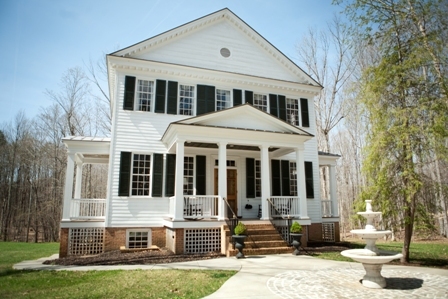 The second annual symposium will be on turning points in the Civil War and will be held at Stevenson Ridge next July 30. Next year’s battlefield tour will be of Chancellorsville, one of my very favorite battlefields. Do yourselves a favor and plan on attending. You won’t be disappointed. I will be there. Today is a happy day. 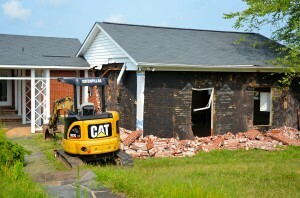 The demolition of the Fleetwood Hill McMansion and the brick ranch house in front of it has begun! Thank you to everyone who donated to make this long-awaited day possible. On Saturday, the Civil War Trust began restoring the most important scene of America’s largest cavalry battle, Fleetwood Hill near the village of Brandy Station in Culpeper County. 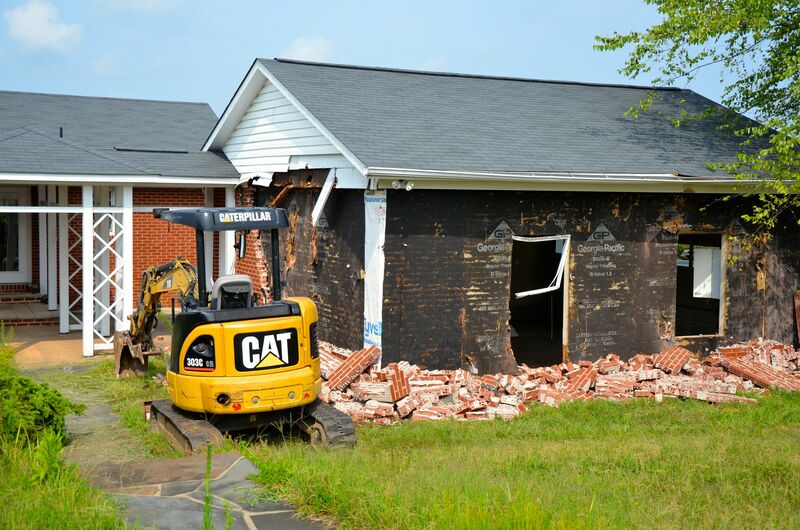 Spotsylvania County contractor J.K Wolfrey is removing a garage and brick ranch house—one of two modern dwellings—on the 56-acre property, said Jim Campi, director of policy and communications for the national nonprofit trust. The strategic crest is where Confederate Gen. J.E.B. Stuart made his headquarters before mounted Union troopers’ surprise attack on June 9, 1863. Charges and countercharges swept across Fleetwood Hill all that day as fighting swirled around the rail depot’s crossroads. The battle is nationally important for opening Robert E. Lee’s Gettysburg campaign, and proving that the Union cavalry had become a fair match for Stuart’s renowned men. Culpeper businessman Tony Troilo sold the land—centerpiece of the expansive Brandy Station battlefield—to the trust a year ago this month, and lived there until earlier this summer. The trust will take down the tract’s modern structures: a large house atop the hill, a smaller ranch house, a detached garage, two in-ground pools and a pool house. Where possible, it worked closely with Troilo and others to re-use parts of the buildings, Campi said. For instance, a metal barn was removed for use by the local 4–H club. Wolfrey will backfill the basements and pools and grade their sites to confirm with topography and, aided by old photos, match the hilltop’s historic contours. The contractor, who has worked on trust sites on the Cedar Mountain, Wilderness and Petersburg battlefields, will remove most of the houses’ asphalt and concrete driveways. Ornamental landscaping will also go, though some trees will stay. The trust will keep a paved area for visitor parking, and won’t touch a historic well. The Virginia Department of Historic Resources, which holds a conservation easement on the property, approved the trust’s demolition plan. The wartime landscape restoration is among the trust’s most ambitious 0f such projects, Campi said. The site will be closed to the public during the demolition, which could take up to three months, depending on weather and other factors. This spring, favorable conditions allowed a contractor to finish similar work at a postwar farmstead on the Fredericksburg area’s Slaughter Pen Farm battlefield well ahead of schedule. Once the Fleetwood Hill project is finished, the trust will announce its plans for public access to the nationally significant historic site, Campi said. It has begun developing a multi-stop interpretive walking trail to augment the trust’s educational spots elsewhere on the battlefield. Longer term, more trees will be planted on Fleetwood so the crest better how it looked during the Civil War. Other parts of the property will be farmed under a five-year agricultural lease. 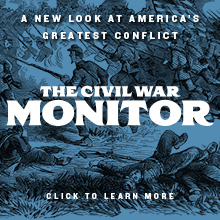 In late 2012, the Civil War Trust announced it had a chance to buy the site. It succeeded last August after a $3.6 million fundraising campaign that drew private gifts and matching grants from the federal Civil War Land Acquisition Grant Program, administered by the American Battlefield Protection Program, and Virginia’s Civil War Sites Preservation Fund. Its partners included the Central Virginia Battlefields Trust, the Journey Through Hallowed Ground, and the Brandy Station Foundation. Beyond the purchase price, major donors gave money to help restore the hilltop’s wartime landscape. It won’t be long now until the view from Fleetwood Hill is unfettered once more. This one hits close to home….. The stuff that people feel that they have to share with us at book signings is pretty astounding. Please don’t mistake my sarcasm for a lack of gratitude. I really appreciate it that folks feel like they can approach me and for the most part, I enjoy the interactions. Every now and again, someone will bring something to my attention that is of great interest to me, and I completely lose myself in the conversation. As just one example, at one of my first speaking engagements after my book Glory Enough for All: The Battle of Trevilian Station and Sheridan’s Second Raid was published, a fellow approached me and handed me a copy of a letter by his ancestor who had served in the 9th New York Cavalry and who had written a really terrific account of the battle that came to me about 6 months too late to do me any good. I’ve also had very interesting conversations with descendants of people who fought in the 6th Pennsylvania Cavalry. Every once in a while, someone will tell me about an idea they have that’s great, or they share something really useful or unique with me. I live for those moments. I will always help folks with worthwhile projects. And I’ve done this sort of thing myself. My book Little Phil: A Reassessment of the Civil War Generalship of Philip H. Sheridan is the direct result of a pretty remarkable dinnertime conversation that I had with the late Prof. Joe Harsh at a Civil War conference at Kent State University many years ago. I bent Joe’s ear for the entire dinner, and he graciously played along. But by the time that meal was over, the outline of the book was right there in my brain, waiting to be put down on paper. So, I really do get it. And then, there are the ones that just prattle on and on and on about things that are of no interest to me, who are too oblivious to sense that they’re preventing me from talking to others or signing the books of others, and who won’t just shut up and go away. You try really hard not to be rude to them, but sometimes, you just have no choice. 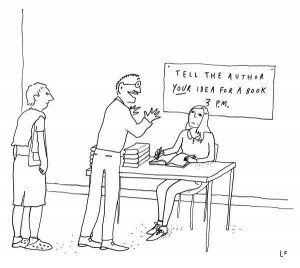 I’ve seen authors just get up and walk away out of exasperation. I haven’t done that, but I surely have tuned folks out completely from time to time. 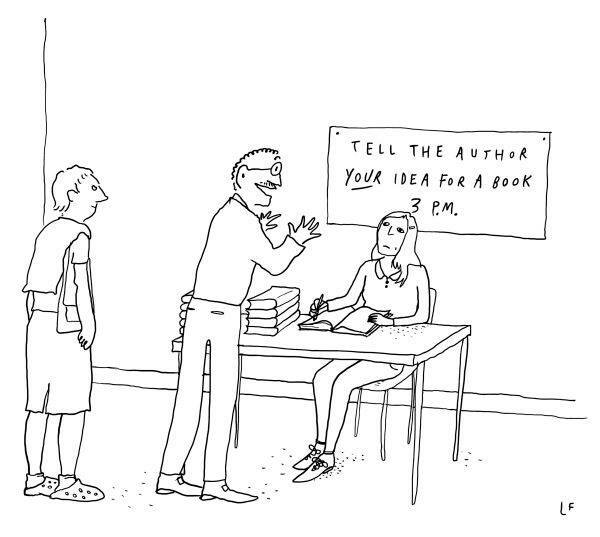 Perhaps some of my fellow authors will be willing to share some of their stories here. I hope you will! Many thanks to friend Clark B. Hall for sharing this poem with me. Capt. William W. Blackford was J.E.B. Stuart’s able engineering officer in the spring and summer of 1863. He was 31 and one of several brothers serving in the Confederate service. Blackford had a bird’s eye view of much of the day’s action, and he wrote this interesting poem about the June 9, 1863. In case you were wondering why we fought so hard to save Fleetwood Hill, this poem ought to answer those questions. In dust and cannon smoke. For comrades left in the fight. With lines unbroken they withdrew.